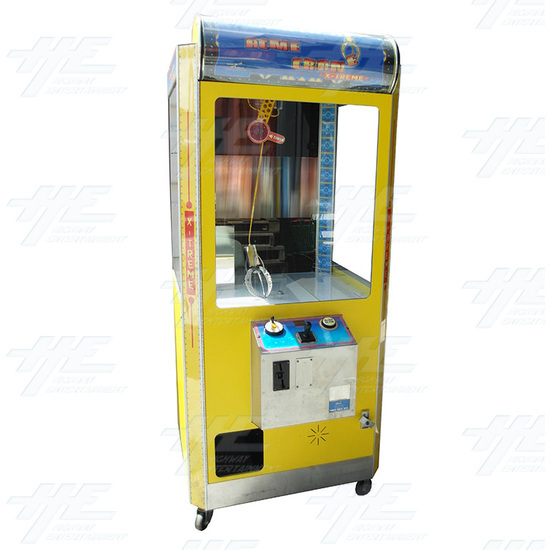 Acme Crane Company 35" X-Treme Model Game - This highly-reliable crane claw game come with a unique pneumatic cylinder air-powered claw that is guaranteed NEVER to wear out ! 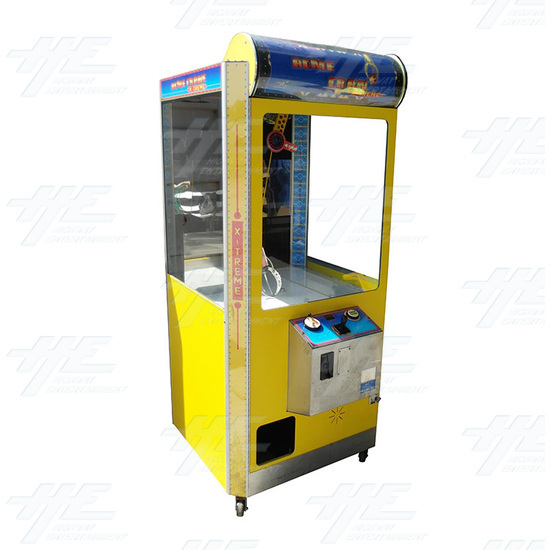 Crane holds twice the prizes as other cranes, and the "Always Full" feature self-adjusts the playfield to maximize product presentation, In "Attract" mode, crane picks up merchandise and moves it around, plus the merchandise is automatically always "fluffed" up ! 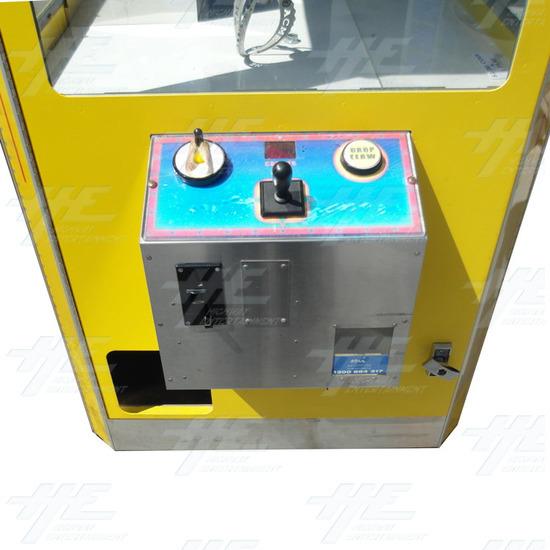 Acme's Claw provides smooth and controlled player operation, with 4-axis player control of claw: up/down, left/right, backward/forward plus claw rotation. Comes with Prize Counter + Anti-Cheat Software (alarm will sound if merchandise is dropped through chute other than with opening of the claw) and Six-Point Door Lock Mechanism, plus rolling floor casters are also standard. Mechanism, plus rolling floor casters are also standard. 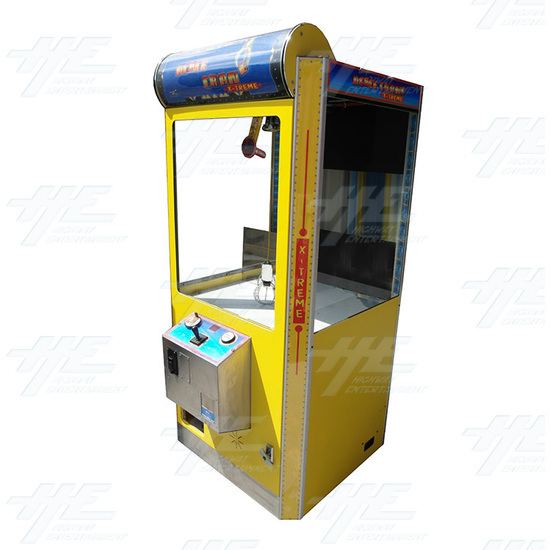 call our sales team for assembled and shipping dimensions.